Being an entrepreneur began for Selena Rodgers Dickerson when as a child she would collect empty aluminum cans people dropped on the ground during football games. She picked up the cans and tossed them in the back of her dad’s pickup truck. “My parents would take me to recycle those cans, so I could get the money. I would take that money, buy candy from the store, and sell it to kids in the neighborhood,” said Dickerson, 41, founder and owner of SARCOR LLC, a Birmingham-based engineering firm that specializes in civil engineering and management services. 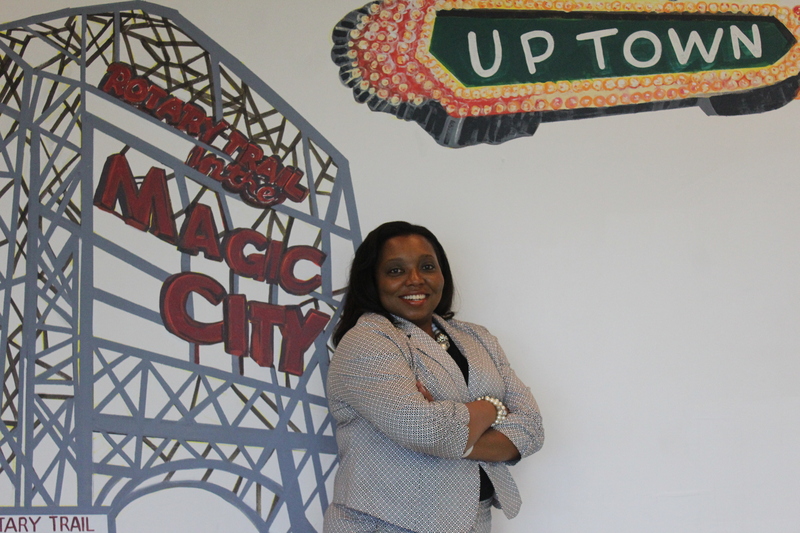 The journey from selling candy in her southwest Birmingham neighborhood to opening her firm, Selena A. Rodgers Corp. (SARCOR), in 2008 has been challenging. 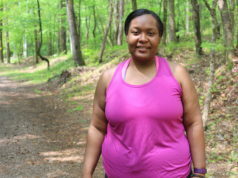 With her unshakeable faith and support system, Dickerson is proof that perseverance works. Dickerson’s company, which now has seven full-time employees, three year-round interns, and three independent contractors, is currently working on several projects for the city of Birmingham, including sidewalks, bike lanes, and a transportation and bus-transit plan to be implemented ahead of the 2021 World Games. “If we are responsible for doing a streetscape that is going to provide a safe mode of transportation for someone to ride their bike or walk to the grocery store or school or work, that means a lot because I am adding value to the lives of people I may never meet,” she said. Dickerson grew up in Birmingham’s Riley neighborhood with her parents, Faye and Alfred Rodgers Jr., and her two younger brothers, Alfred III and Chris. She attended Saint Mary’s School and is a 1995 graduate of Ramsay High School. Growing up in the Riley area gives her a perspective that informs her work, she said, recalling how residents struggled because the neighborhood had few sidewalks. Dickerson attended Tennessee State University (TSU) in Nashville, Tenn., where she studied civil engineering. While there, she worked a co-op position off-campus and became involved with a guy she thought she could trust. Dickerson survived the assault but suffered a partially detached retina and had to go on bed rest for a month. She returned to school the following January and continued with her classes, taking a full course load, and went to domestic violence counseling. Shortly after that semester, Dickerson attended school part time because of financial problems. She ended up working several jobs, sometimes three at a time, to pay for school. While Dickerson was working and attending school, her youngest brother, Chris, suffered a massive heart attack, from which he has since recovered. During that time, she spent a lot of time traveling between Nashville to Birmingham to be with family, which resulted in additional challenges. 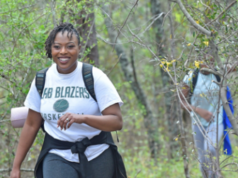 She graduated from TSU at age 27 with a degree in civil engineering and went to work for the Alabama Department of Transportation and then Metals and Materials Engineers. Soon thereafter, she was laid off. Dickerson founded SARCOR 10 years ago with the mission to provide honesty, optimism, persistence, and enthusiasm—HOPE—to Birmingham one project at a time. In addition to her undergraduate degree from TSU, Dickerson has a Master of Business Administration degree from Capella University. 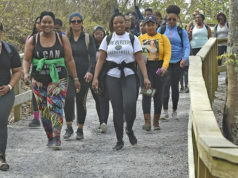 She is a member of the Upsilon Eta Omega chapter of Alpha Kappa Alpha Sorority Inc. and the American Business Women Association. She attends Mount Pilgrim Missionary Baptist Church in Fairfield and will be a graduate of Leadership Birmingham next month. She has been married to her husband, Juwan, for five years, and they have a 3-year-old daughter, Allison. For more information, visit www.sarcorllc.com.